This pedal has the same quality you have come to expect from Lokar. 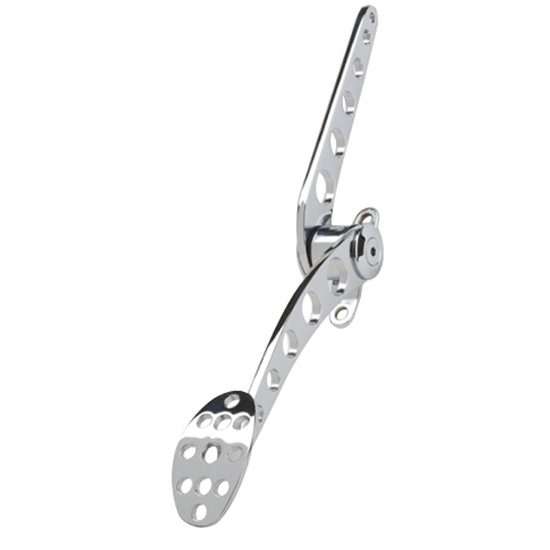 The removable lower arm is splined for versatility in mounting to the right or left of the mounting bracket. Lakester pedals feature curved pads and arms.